Al Naboodah Travel & Tourism Agencies, the travel and tourism business of Al Naboodah Group Enterprises (ANGE), one of the UAE’s oldest and most respected family conglomerates, recently announced strategic partnerships with three renowned airlines – Go Air, Latam and Japan Airlines, making them the general sales agent (GSA) for 10 airlines. Air Canada, Turkish Airlines, Air France, Cathay Pacific, Austrian Airlines, Air Zimbabwe and United Bangladesh, make up the other seven airlines. Under the terms of the agreements, Al Naboodah is the exclusive GSA for Japan Airlines in the UAE and Latam, a Latin American carrier, in the Middle East. The company also has exclusive representation for Go Air, a low-cost Indian airline, in Dubai and the Northern Emirates. 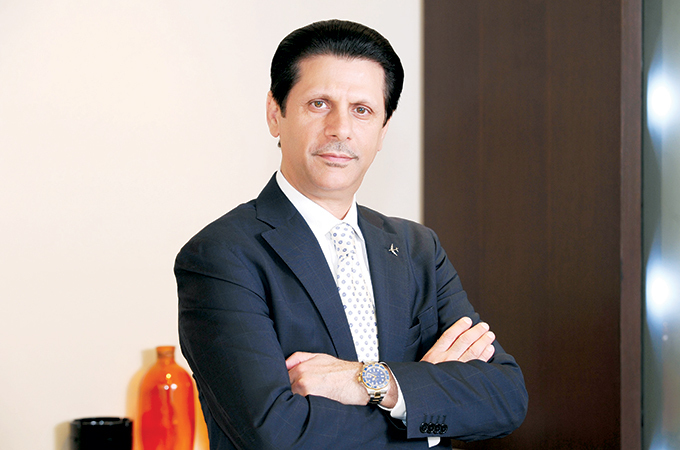 We spoke to Nasir Jamal Khan, CEO of Al Naboodah Travel & Tourism Agencies, for more. “We are the exclusive GSA for Latam in the GCC, Lebanon and Jordan. This is one of the best achievements for us because no airline gives any agent a Middle East GSA exclusivity. Latam is the largest airline in Latin America, with over 600 aircraft in its fleet. It originates from Brazil, Peru, Argentina and Chile. “We are concentrating our efforts to promote those destinations both inbound and outbound, in terms of tourism, business travel, and rest and recuperation, to reach a point where we become online, ie, fly from Dubai and other regional cities. At the moment, Latam connects directly via Europe – Italy, UK, Spain and Germany. We have partnerships with other airlines and we fly from here to one of these four European destinations, and issue one ticket up to Latin America. Although business travel is slowly on the rise between the Middle East and Latin America, tourism and holidays are the main focus for now. Since the expatriate population from Latin America residing in the Middle East is negligible, rest and recuperation is not the most immediate source of business for Latam. A delay in paperwork in India is causing a delay in the airline going live from Dubai or the Northern Emirates, but once it does, it is all set to shake up the market with competitive pricing, increased frequency and new destinations. But why will anyone fly Japan Airlines and not take Emirates instead? Khan says, “At certain times of the year, you can get cheaper fares with Japan Airlines. Our major focus is on business class, the front cabin. If you wish to go beyond Tokyo, any secondary city, Emirates will not be able to match the price Japan Airlines can offer. In a market where people are questioning the presence of travel agencies nd tour operators Al Naboodah is expanding its offices outside its home base in the UAE. Latam’s Middle East GSA has something to do with it, but that is not the entire reason the company is looking to expand. “We are expanding, we want to open offices all over the GCC. Our first overseas office in Saudi Arabia will be up and running by Q1 2018,” concludes Khan.